Does the Philips SpeechExec Enterprise v4.0 solution have an SSL Certificate? No, the Philips SpeechExec Enterprise version 4.0 solution does not have an SSL Certificate. Dragon Medical Enterprise v10.1 is not functioning properly on my 64bit OS? Did Nuance release a Dragon NaturallySpeaking v11.5 Spanish upgrade? As of today, No. Dragon NaturallySpeaking v11.5 is not available. Version 11.5 was only released for English, French & German. Does the Olympus DM-4 Digital Voice Recorder have a time out on pause, or can you walk-away in pause mode for 1 hour, come back and un-pause it on continue? 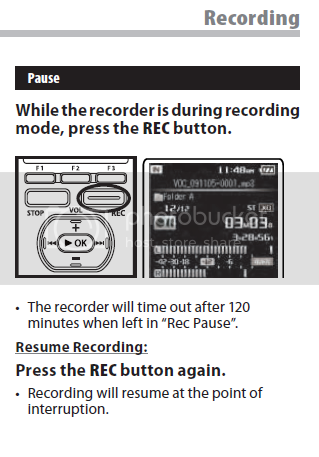 Yes, the Olympus DM2 & DM4 Digital Voice Recorders will time out after 120 minutes when left in Record Pause Mode. Can you reassign specific assignments within the Philips SpeechExec Pro software? No, currently, there is no way to reassign a specific SpeechMike assignment within the Philips SpeechExec Pro software. Verification Source: Jackie Warren, Philips Product Manager. Does the Philips SpeechExec Pro software have the ability to notify Typists when a job has been sent from a specific Author? Does the Olympus DS-4000 charge the BR-403 battery pack when using the CR-3 docking station? Yes, the Olympus BR-403 rechargeable battery pack can be charged in an Olympus DS-3300 & DS-4000 Digital Voice Recorder using the Olympus CR-3 cradle. There is a way to create and save voice commands on the Philips DPM9600 digital handheld recorder. Help, dictations being sent via email through the Philips SpeechExec MobileServer are not being received in the users email folder as configured.